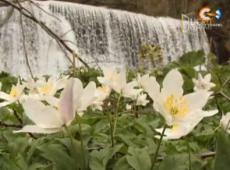 Beautiful nature, flowers, streams, accompanied by beautiful music. God has given us the nature that is beautiful and perfect. Give him praise for it.